In early May, Bennet Group worked hand-in-hand with The Howard Hughes Corporation to announce its newest tower, Koula, to much success. The announcement of Koula as part of The Howard Hughes Corporation’s Ward Village marked a major milestone for the company due to its proximity to the site of Central Plaza, Ward Village’s soon-to-be-developed open-air green space. Bennet Group worked with our client to arrange six in-person interviews, one phone interview and one digital interview with an embargoed press release about Koula the day before the story officially broke. This tactic ensured media were able to get the quotes, sound bites, footage, renderings and context on the story in advance of its official announcement. The result was better, richer coverage across every daily outlet on Oahu that more completely underscored the impact of Koula on the community. Our secret sauce? 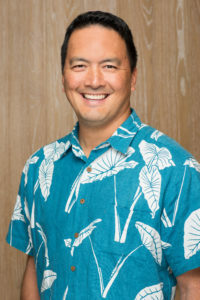 The interviews listed above were conducted by Todd Apo, Vice President of Community Development for Ward Village. Todd is intimately ingrained in every aspect of the company and deeply passionate about its projects, making him a knowledgeable, thoughtful executive-level company representative. Your company can replicate this success by prioritizing the resources and preparation a spokesperson needs in order to make the most of these opportunities. Personalized training sessions, advanced work on messaging, personal branding are great places to start, and we are at the ready to help you brainstorm more.